Ok, you clicked on this post, so you’ve probably been there. Which got your attention? Spiritual disciplines, or “get your faith out of a rut?” Maybe you feel like you’re not growing, you’re just going through the motions. Maybe you seem to be struggling with the same sin issues over and over again. Trying harder just isn’t fixing it. Or maybe you’ve lost that woo-woo Jesus feeling. I’ve been there. All of it. I remember one year I described it as having a “spiritual cold.” I was showing up places, and I wanted to connect, but everything was plugged up and foggy. The feelings just weren’t there, no matter how much I wanted them to be. I hadn’t lost my faith, I didn’t stop believing or serving or any of that…I was just stuck. This page contains affiliate links – they sure help to pay off those student loans! For more information, please see my disclosure page. It’s not about how you feel. The promise means we stick with it, even when the feelings aren’t there. I’m not talking about mindlessly going through the motions. Choosing to be a follower of Jesus is a serious decision, and it shouldn’t be based on how you feel. The promise means you choose to keep following Jesus, keep moving forward, on good days, bad days, and even stuck and dry days. So, how do you keep moving forward? Spiritual disciplines are not a quick fix. They won’t instantly make you feel better, and they take work. Sometimes you’ll enjoy them, but there will be times when you don’t. That word discipline isn’t an accident! “Right living.” That’s what we were just talking about, right? How we couldn’t seem to live right? Spiritual disciplines produce a harvest of right living. Spiritual disciplines also teach you. “Discipline” comes from the same word as “disciple,” a student. Spiritual disciplines teach you about yourself and about God. And finally, spiritual disciplines create a space for God to work in our lives. As Richard Foster says, we need change from the inside out. Spiritual disciplines “open the door” so God can do the inside job; they “allow us to place ourselves before God so that he can transform us.” (The Celebration of Discipline p7). There are many different spiritual disciplines, and I’m not going to discuss all of them in this post. 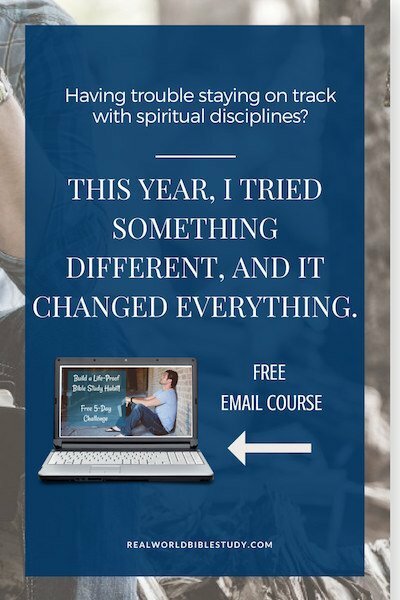 If you want more, Richard Foster literally wrote the book on spiritual disciplines. It’s called The Celebration of Discipline, and there is also a journal workbook to go with it called Celebrating the Disciplines. For this post, I’m going to cover just 5 spiritual disciplines. As you’ll see, some of the disciplines should be practiced daily, and some you will practice frequently or even on rare occasions. But don’t get overwhelmed. As you’ll hear me say a lot, we want small weights, lots of reps. As we discuss these 5 spiritual disciplines below, think about choosing just one that you want to try for the first time or that you want to grow in. Prayer is simply talking to God (and LISTENING to him…), but regular prayer definitely requires spiritual discipline. You don’t have to have any special knowledge or qualifications to get started. It’s just like any other relationship: If you don’t talk to your best friend, you’ll grow farther and farther apart. I grew up in a Christian home and pray often, but I always had a hard time building a consistent habit of dedicated prayer time. I would think of things to ask God or thank him for, and I would pray in that moment, but the daily set aside time for prayer was hard for me to maintain. No particular reason, but discipline is tough, right? I would get on a good track for awhile, but something would disrupt my schedule and I would never get back on track. This year, I tried something different, and it changed everything. Small weights, lots of reps. I committed to writing in my prayer journal every day, but I didn’t make any requirements for how much time I had to spend or how much I had to write or even what I had to write. Small goal. And I asked God for help keeping up with it. He answered that prayer: the first week, I had a sudden reminder about 20 minutes after going to bed that I hadn’t prayed yet. The journal worked well for me because I wouldn’t get distracted or lose my train of thought. 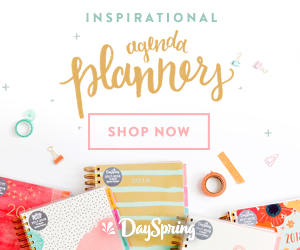 After I was in the habit of writing in my prayer journal daily, just little daily letters to God, I made myself a war room and made a plan to spend time there daily. Evenings worked better for me because I had nowhere else to go, so I didn’t have to be thinking about the clock going in. At this point I started to build: I might pray out loud, I might pray in tongues, I often sing worship songs and do Bible reading. I keep a copy of a book on prayer that I am currently reading, The Battle Plan for Prayer, and sometimes I will read a chapter and incorporate what I read into my prayer time also. But I always write in my prayer journal, even just a little. When I go out of town, I take the prayer journal with me – my mobile war room. The point is not about a journal or a room. Everyone’s prayer time will look a little different. That’s how it should be. The point is to make a goal that you can meet, but one that you can do daily, and then build on that. Since I started practicing the spiritual discipline of prayer regularly in a dedicated time, I have found myself having less anxiety and more peace (Philippians 4:6-7) and God has given me clarity in different areas of my life. If you want to learn more about different types of prayer, I really enjoyed Prayer and Temperament by Michael and Norrisey. It teaches about different prayer forms and types for different personality types. When people think of “study” as a spiritual discipline, they are usually thinking about Bible study, and that is definitely one of the most important parts of study. Duh. This is a Bible study blog (!). But Richard Foster points out that there is more to study than just Bible study. Romans 12:2 tells us to “be transformed by the renewing of our minds” (NIV). Study is analytical: we focus and pick something apart so that we can understand it. We can study books, people, God’s nature through his creation. If I read a book about productivity or watch a webinar on getting employees to act like owners, I am being transformed by renewing my mind. That being said, our first priority for study should be God’s Word – how he teaches us and how he reveals himself to us. Bible study as a spiritual discipline is different from Bible reading (which also has value). In Bible study, you want to dig deeper. I’m not necessarily talking about picking apart sentence by sentence. Sometimes that can be good, or fun, but sometimes you lose sight of the big picture. I’m talking about learning to interpret the Bible by understanding the context and then asking questions. What did it mean back then? How does it apply to my life today? Question the text and question yourself too. Here are 6 things you must have for life-changing Bible study. Bible study doesn’t have to be boring…in fact, it shouldn’t be. You can pick a Bible study learning strategy that fits your learning style. You do want to do it regularly, on your own and in a group. If you need to bounce your Bible study thoughts off of someone, make sure to check out the Real World Bible Study Community on Facebook. You can share questions or things you have discovered, and we’ll be able to connect and encourage each other. And just like prayer, or any other habit you want to start, remember to start small and pick small, achievable goals. If you need help getting started, sign up for the free 5-day Life-Proof Bible Study challenge here. 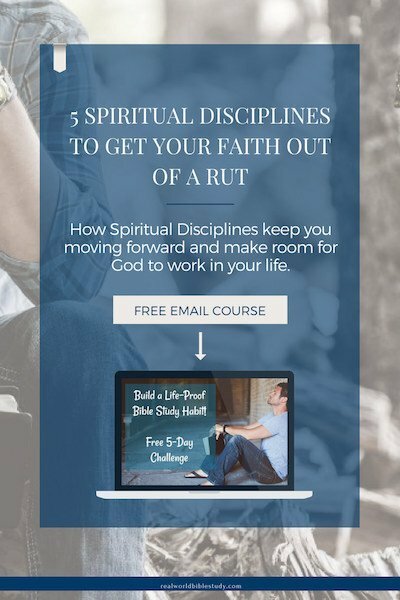 Over 5 days (one email per day), you’ll learn how to set small goals and build a Bible study habit that sticks (if you let it). I just love this statement by Richard Foster in The Celebration of Discipline. 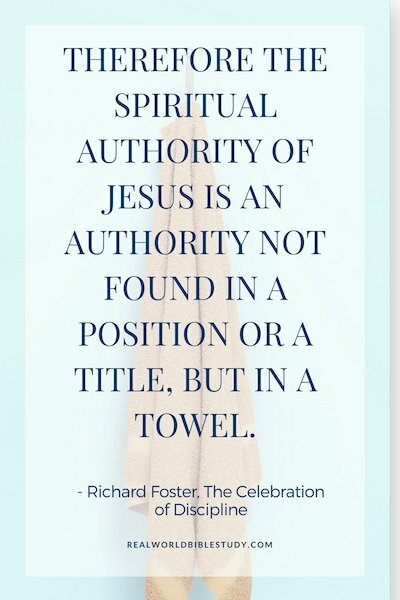 Therefore the spiritual authority of Jesus is an authority not found in a position or a title, but in a towel. Jesus set the example for us when he washed the disciples’ feet (John 13), and he reminds us that even he came to serve, not to be served (Matthew 20:25-28). Service isn’t just something we are “supposed” to do, though; it changes us. It humbles us, teaches us, makes us more like Jesus, even while it blesses others. Pastor Doug always says “When the hands stay busy, the heart stays soft.” We are less likely to be critical of others when we are serving alongside them! There are many places and ways to serve. Every Jesus follower should be serving some way in your local church, and that is a really great place to start. God brought together your church with all the right people to meet all the right needs. If you aren’t serving, there’s a hole, both in the church and in your life. There is something you were designed to do. It doesn’t have to be something that requires a lot of prep time or a lot of expertise (although we need people to go do those things too!). Miss Jenise at my church supports our Girls Clubs by helping cook the food at our weekend events. It’s a small commitment, it’s a lot of fun, and it blesses the socks off of each of those girls and the other volunteers. You can also think about ways to serve in your life outside of church or in your community. What are the needs? Remember that service doesn’t need to be an official thing. Listening is a service; praying with someone is a service; hospitality is a service. The most important thing is to do it intentionally (on purpose) and to do it out of love (even if that love is the love we are asking Jesus to help us out with! Sometimes it sure doesn’t come naturally). Sabbath for Israel and the Jewish community was a day of rest from the labors of the week, and many Christian writers have suggested that believers can squeeze in a Sabbath hour or a Sabbath minute here and there. While those short times of rest are precious and valuable, they may miss out on the fullness of the gift of Sabbath. 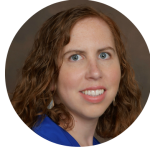 Ruth Barton says that “Sabbath keeping is more than just taking a day of rest; it is a way of ordering one’s life around a pattern of working six days and then resting on the seventh” (Sacred Rhythms: Arranging Our Lives for Spiritual Transformation). This requires more than just rest; the key word is pattern. The gift is more than just rest, but a lifestyle of work and rest in proper balance. Our culture is all about the hustle. Being a workaholic is almost praised, although people are starting to see the damage overwork can cause if you keep it up too long. But having rested, we “do our work with greater ease and joy” (Wayne Muller, Sabbath: Finding Rest, Renewal, and Delight in Our Busy Lives). Physically, as people with limits, we need the rest of Sabbath to allow our bodies to rebuild. But it’s not just about physical health. 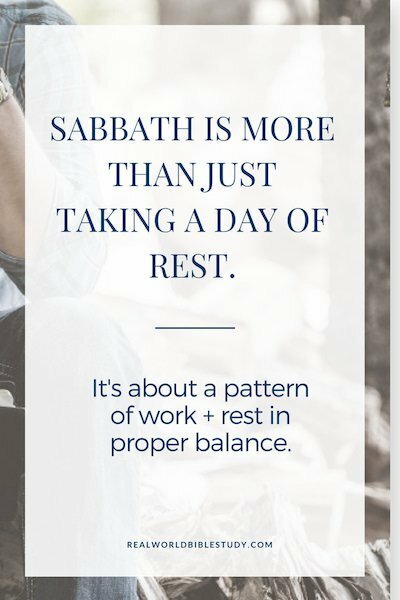 Sabbath leaves us mentally, emotionally rested to tackle the challenges of the week, at home, at work, and in ministry. We need “a deliberate withdrawal from the noise” (Eugene H. Peterson, The Contemplative Pastor). Sabbath brings our whole week into the right balance to be prayerful people (see above). We may have to do less because we set aside time as sacred Sabbath, but what we continue to do will be more effective and longer lasting. We become more faithful to our promises because we are able to keep them. You guys, this one is SO hard for me. Sometimes it seems like I’m avoiding Jesus with all the things I do for him. If it’s hard for you too, don’t beat yourself up about it. But try to create boundaries and patterns in your life where you have space for rest and relationships. It doesn’t have to be Sundays (technically Sabbath is Saturday anyways! ); but set some intentional time aside for rest and recreation (re-creation: fun times are the times when God re-creates you, rebuilds you!). Fasting in the Bible is different from fasting for diet or health purposes; in Scripture, “fasting always centers on spiritual purposes” (The Celebration of Discipline). It usually means fasting from all food, but not water. There are exceptions: Daniel describes a partial fast where he abstained from meat, wine, and delicacies, and there are a few examples of an “absolute fast” (no eating or drinking) for dire emergencies. Most instances are the “no food” version though. Fasting is typically a private matter, but there are also times where the community fasts together. The Bible doesn’t command us to fast, but it does seem to expect that fasting would be a part of our spiritual walk (see Matthew 6:16, “when you fast.”). The purpose of fasting is to focus on God and recognize our reliance on him. Fasting also reveals the control that food and “stuff” has over our lives, and it can provide breakthrough in prayer. As Foster says, “we can expect God to reward those who diligently seek him.” And when his disciples asked why they couldn’t cast out a particular demon, Jesus replied that some would only come out by prayer and fasting (Mark 9:29). If you want to train in the spiritual discipline of fasting, start small. Small weights, many reps. Fast one meal once a week for several weeks before working your way up to a 24 hour fast and then longer. Don’t call attention to what you are doing, and don’t just fill the meal times with more work. Instead, take this time to pray, study, and spend time with God as much as you can. Make space in your life to hear his voice. The chapter on fasting in Foster’s book will prepare you for the physical aspects of fasting. I highly recommend you read it or talk to someone you know who has practiced fasting before you start. What about “fasting” from a particular food or activity? While this isn’t mentioned in Scripture, I believe it is in line with the scriptural precedent of giving up food. It can accomplish many of the same goals. I have done a few social media fasts, for example, that have helped me refocus on God in the midst of a world full of distractions. These are definitely good examples of spiritual disciplines and a great place to start training yourself for a godly life (1 Timothy 4:7). However, because we actually depend on food to survive, a more traditional fast in the biblical sense is going to have an even more powerful impact on your walk with God. Even more than we need food, we need God. Which of these spiritual disciplines (or others) have you tried? Do you have any practice with these? What has been your experience? Which would you like to focus on in your next season? Jump in the comments below and let us know! This post was proofread by Grammarly. Any variances are there on purpose. Promise. « What is the Best Learning Strategy for Bible Study?